US Media Whitewashes Gaza Massacre! Craig Murray, a former British ambassador to Uzbekistan, said on his blog that he did a Google News search for the word “massacre” and found not one reference to Gaza. That’s one way to wash the Israeli government’s (blood-soaked) hands of the matter. Especially if you fear Israel will be accused of war crimes itself for its actions on Monday. Danon mentioned “breaching the border.” But it is virtually impossible to get in or out of Gaza without Israeli permission. Burning kites lofted over the barrier that pens in nearly two million Gazans subject to an internationally unrecognized economic blockade, supposedly constitutes “breaching,” in Danon’s mind. 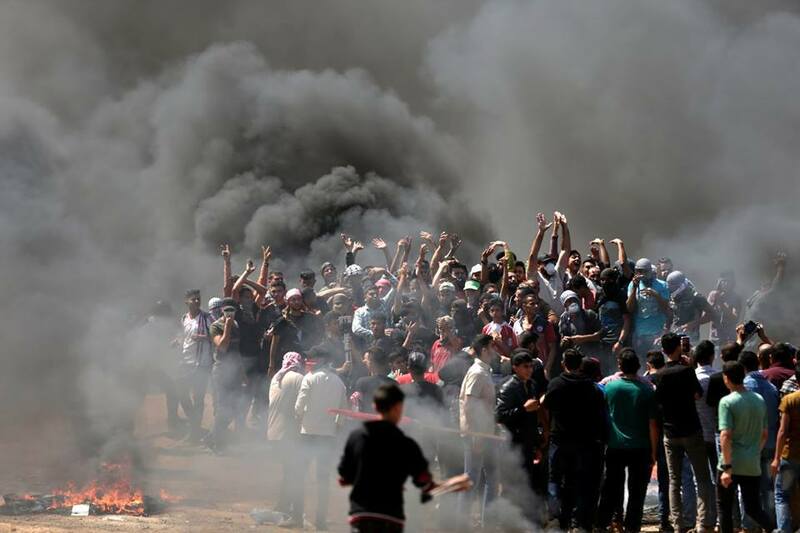 …the United States declared Jerusalem/Al Quds as the capital of Israel by moving its embassy there, rather than leaving its status to negotiation, people still trapped in Gaza protested at the gate fencing them in while Israeli military snipers picked off more than 50 of them and wounded thousands more for protesting their entrapment. Danon’s position was callously promoted by the White House on Monday. Unsurprisingly, Congress also lined up behind the Jewish State, mostly ignoring what went on in Gaza. This entry was posted in News and politics and tagged Accusing Hamas for war crimes, US Media silent on Gaza, Whitewashing Gaza killings. Bookmark the permalink.